We all know that Saudi Arabia is one of the top countries where OFW’s are deployed especially in Riyadh. They work hard to earn and send their salary to their loved ones without even telling how hard it is living away from them. 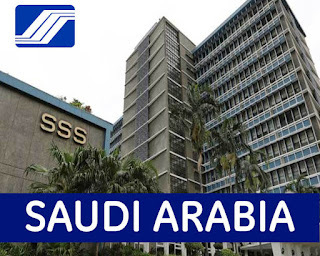 If you are working in the Philippines prior to going abroad, I am sure you are a member of SSS (Social Security System) program. As we all know, SSS is a government agency that provides retirement, health and other benefits to employees. If you are planning to continue your monthly contribution while working abroad, you can visit the nearest branch on your location or contact if you have queries reading your membership. You can visit their office during your day-off or rest day for inquiries about loans, payments, document requirements and others for you to plan your next visit schedule. You can also call their using SSS toll free hotline for more information. If you have internet connection, you can also email them to save time or even contact SSS Riyadh branch office hotline for assistance.